Founded in 1977, Midas fundraisers bring specialist knowledge and expertise in a variety of fundraising skills, including raising funds from wealthy individuals, UK grant-making trusts, European foundations, the corporate sector, UK government and the European Commission, the Big Lottery Fund, BBC Children in Need, Comic Relief, Landfill Tax and many other sources of funding including tendering for contracts from local authorities and other commissioning bodies. Midas offers mentoring to individuals/teams, help with fundraising communications and strategies, and an Application Check service including Monitoring & Evaluation, which gives charities access to experts in Big Lottery, European and trust fundraising prior to the submission of major applications. John Clements Sports and Community Centre! The John Clements Sports and Community Centre held its official opening on 30th May following a successful fundraising campaign involving Midas Partner Catherine Farrell. Jim Park, Project Chairman said “we would not have got here without the help of Midas ,and Catherine Farrell in particular , who not only raised significant funds directly but gave excellent advice and guidance in our own approach to fund raising in general and with particular funders". The new building costing £550,000 now provides the villagers of Codicote, Hertfordshire with a high quality facility for social, recreational and sporting activity. Funding has been secured through charitable trusts both local and national, Sport England and through the landfill tax credit scheme. A successful buy a brick campaign raised over £22,000 from the local community and the donors bricks are displayed on an internal wall inside the clubhouse facility. 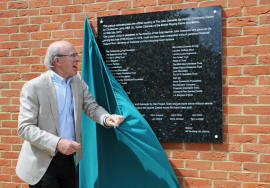 Over 200 people attended the opening event with the unveiling of the plaque being carried out by former High Sheriff of Hertfordshire, Christopher Laing. The new Chadwell Heath Community Centre (operating from the original Robert Jeyes Library in the High Street) only opened on 1st October 2014. One exciting achievement has been, with the support of London Borough of Barking and Dagenham, a very well used community library and IT section run almost entirely by volunteers, as well as wide range of activities for the whole community and local residents. The Queen and Prince Philip were conducting several engagements throughout the borough the other week, beginning with officially opening the new Centre following a direct invitation from the Centre. Midas Partner Martin Shaw was responsible for setting up the Centre as a registered charity and all its governance. Philip chatted freely with the guests invited to the centre, among them our own Martin Shaw and poked fun at his job. "I told Philip I'm a professional fundraiser" said Martin to him and he replied saying "Do you have any friends left?" - "I said not many!" and this was followed by huge laughter. 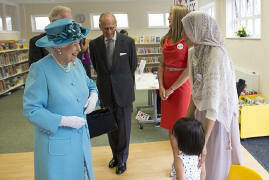 And the Queen's consort even 'told off' the centre's chair Anne Estlea for overusing the word community. The Centre is really an example though of how it is possible for local residents to run facilities such as a community library and how from a negative of closing down a borough library can become a positive in partnership with a local authority..
* Take you through the 3 key, low cost, first steps that any charity can take to start attracting legacies. 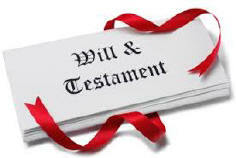 * De-mystify the terminology of legacies, wills, codicils, pecuniary and residuary bequests etc. * Identify the possible levels of income you might achieve, and who is most likely to leave you a legacy. The seminar will be led by one of our Senior Consultants, David Hanley. David has over 25 years’ experience within the voluntary sector and spent 5 years as Head of Legacies at the NSPCC. It costs just £95.00 including coffee and a sandwich lunch. Date to follow but you are welcome to register your interest now.